A Texas court has found that a severely mentally ill death-row inmate, Marcus Druery (pictured), is incompetent to be executed. Druery's attorneys presented more than 150 pages of reports from mental health professionals arguing that, as a result of major mental illness, Druery does not understand why he is being punished, making it unconstitutional to execute him. His "paranoid and grandiose delusions...deprive him of a rational understanding of the connection between his crime and punishment," one expert wrote. On April 4, the court agreed. Prosecutors did not contest Druery's claims of incompetency, but retain the right to petition for reconsideration in the future if Druery's mental state changes. Kate Black, one of Druery's attorneys, said, "The state has the duty to make certain it does not violate the Constitution by executing an individual, like Mr. Druery, who suffers from a psychotic disorder that renders him incompetent for execution. We are pleased that they have taken that duty seriously." Druery has long suffered from delusions and a psychotic disorder that doctors have consistently characterized as a form of schizophrenia. In 2009, his mental illness became so severe that he was transferred to a prison psychiatric unit. State doctors who have examined him since have consistently diagnosed him as delusional. An execution date was set for Druery in 2012, but he was granted a stay and, later, a competency hearing, which led to Monday's decision. The U.S. Court of Appeals for the 5th Circuit says that “Adam Kelly Ward (pictured) has been afflicted with mental illness his entire life.” Yet Texas will execute him on March 22 unless the U.S. Supreme Court grants him a stay to review his case. Ward's lawyers argue that the execution of a person who is severely mentally ill constitutes cruel and unusual punishment and that, for that reason, Ward should not be executed. 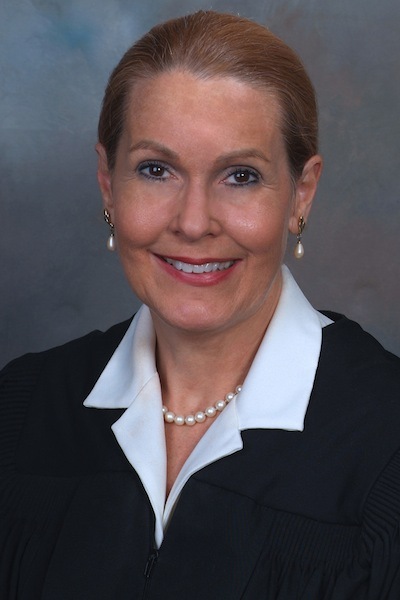 The Texas Court of Criminal Appeals denied review of that issue on March 14, saying that Ward should have raised it in previous state-court appeals. The Texas federal courts rejected a similar argument in 2015. While the U.S. Supreme Court has barred the execution of inmates who are so mentally incompetent that that they do not rationally comprehend that they are going to be executed or why, it has never ruled that executing inmates with severe mental illness is unconstitutional. Ward has consistently exhibited signs of severe mental illness since infancy, and was twice hospitalized for multi-week periods because of his illness. He suffered from uncontrollable rage episodes and two of his elementary schools built special padded isolation rooms in which he would be placed when he was out of control. The federal district court described him as delusional and having "difficulty with impulse control, bad judgment, poor insight, trouble sleeping and eating, mood swings, and bizarre behaviors." At trial, a psychiatrist testified that Ward's psychotic disorder caused him to "suffer paranoid delusions such that he believes there might be a conspiracy against him and that people might be after him or trying to harm him" and the federal district court agreed that as a result of his mental illness, Ward "interpreted neutral things as a threat or personal attack." In her statement concurring with the state court's denial of a stay of execution, Judge Elsa Alcala noted that no Supreme Court decision banned the execution of people with mental illness and that the power to do so rests with legislatures: "As is the case with intellectual disability, the preferred course would be for legislatures rather than courts to set standards defining the level at which a mental illness is so severe that it should result in a defendant being categorically exempt from the death penalty." 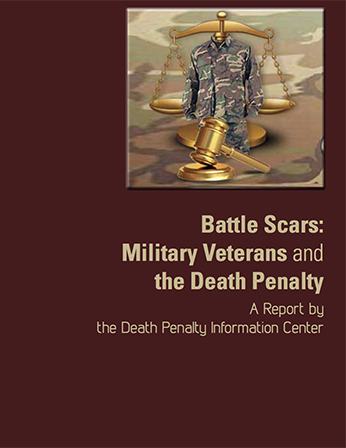 DPIC Releases New Report, "Battle Scars: Military Veterans and the Death Penalty"
On November 10, on the eve of Veterans' Day, the Death Penalty Information Center released a new report, Battle Scars: Military Veterans and the Death Penalty. 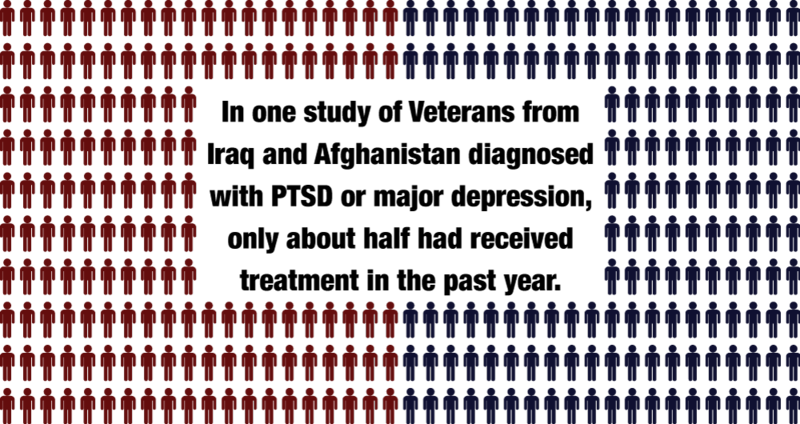 The report examines the plight of U.S. military veterans who have been sentenced to death, estimating that about 300 veterans are currently on death row. Many of these veterans suffer from Post-Traumatic Stress Disorder (PTSD) or other mental disabilities caused or exacerbated by their time in combat. Often when these veterans were on trial facing the death penalty, their military service and related illnesses were barely presented to the jury. The first person executed in 2015, Andrew Brannan, was a decorated Vietnam veteran with PTSD, who had been granted 100% disability by the Veterans Administration. His combat trauma was largely unexplored at trial, and the Georgia Pardons Board denied him clemency. DPIC's press release noted: "As the country prepares to honor its military veterans on November 11, it may be a sobering and surprising revelation that many veterans have been adjudged as 'the worst of the worst,' condemned to death, and executed by the government they once served." The report urges more attention be paid to veterans facing execution: "Early intervention, peer assistance from veterans, and involvement of veteran officials with prosecutors, defense attorneys, and judges could all be instrumental in steering a case away from the death penalty," the report states. Read more about DPIC Releases New Report, "Battle Scars: Military Veterans and the Death Penalty"
Former Ohio Supreme Court Justice Evelyn Lundberg Stratton (pictured) testified in state legislative hearings on October 14 that Ohio should ban use of the death penalty against defendants who suffer from serious mental illness when they commit a capital crime. Stratton, a Republican who was appointed to the court in 1996 and served, following reelection, until 2012, called the death penalty "inefficient, ineffective and a great burden on our society." Stratton said that the U.S. Supreme Court has barred the execution of juveniles and people with intellectual disabilities because of their reduced culpability. She told the Ohio Senate Criminal Justice Committee that people with serious mental illnesses have similarly reduced culpability. "Do we as a society say we want to execute someone who has diminished capacity and mental Illness?" Stratton asked the committee. Last year, the Ohio Supreme Court Joint Task Force on the Death Penalty issued 56 reform recommendations, including a ban on executing those with serious mental illness. Stratton said the bill would apply to defendants diagnosed with such serious mental illnesses as schizophrenia, bipolar disorder, and depressive and delusional disorders. The bill has bipartisan sponsorship and is also supported by the National Alliance on Mental Illness.